Driving from our last stop at Dingle over to Kenmare, we took the Ring of Kerry along the Iveragh Peninsula of western Ireland. 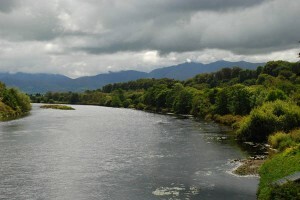 It’s the “long way around” to Kenmare, but it resulted in some spectacular scenery. 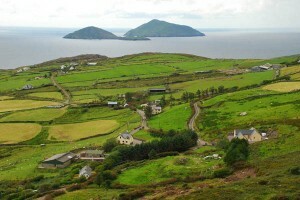 The Ring of Kerry is a road traveled by most of the big tour companies. We take the back roads including the less famous Skelligs Ring, an offshoot of the Ring of Kerry that the tour buses cannot travel on due to the narrowness of the road. 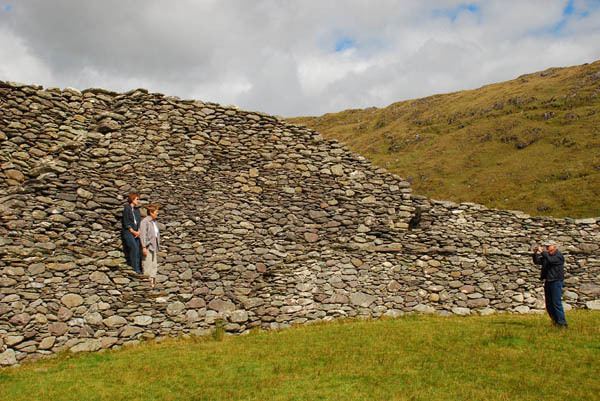 Near the colorful town of Sneem is the ancient remains of Staigue Fort. 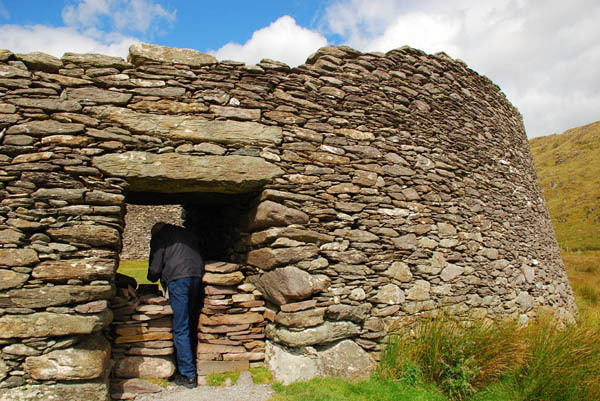 This fortified farmstead was built before Christianity was brought to Ireland, so it definitely dates from before the 5th century. The wealthy chieftain who would have lived here had an expansive view to the south for many miles, which would have helped in defense. 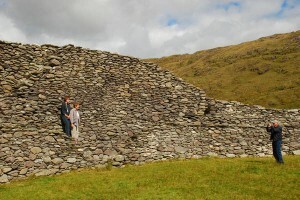 High stone walls surrounded a compound where he and his family, servants and relatives along with all of their animals. Tight and cozy, but safe. 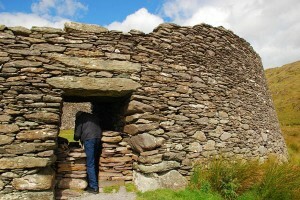 Entering Staigue Fort through the original "doorway," which was made extra narrow on purpose. 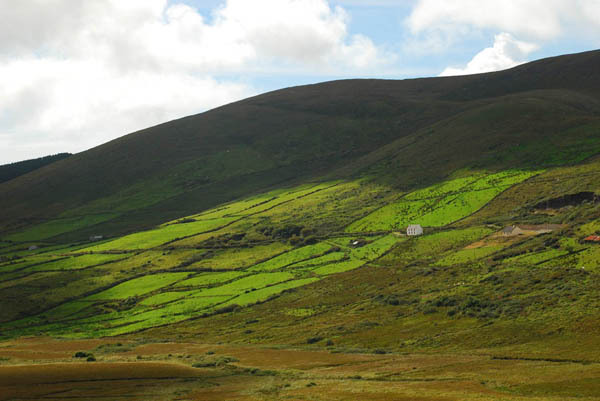 Ireland is the land of many waters, and the rivers are especially beautiful, with waters running black through a sun-speckled landscape. This is the River Laune near Killarney. Posted in Ireland Tours and tagged ireland, kerry, laune, ring, river, road, sneem, staigue fort.